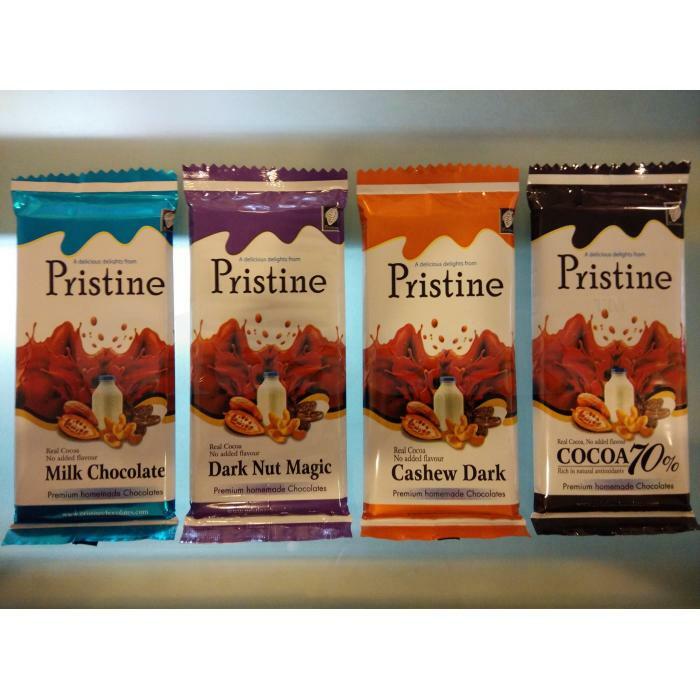 Pristine Chocolates is a chocolate manufacturing company, established in 2008, based in Moozhikulam Village , Kochi, Kerala, India. We are engaged in the creative making of handmade chocolates and believe in providing the finest quality of the same to our customers .We make all our own chocolate, from bean to bar, the way all chocolate should be made!.We are one of the only small-scale chocolate-makers producing fine chocolate where the cocoa grows In India . we started journey with the technical know how from Kerala Agricultural university ,Mannuthy , Thrissur in the year of 2008 , Later acquired knowledge of processing the cocoa mass to chocolate , now we are able process a 500 kg a day which consist of milk , dark and bitter chocolates. Pristine chocolates are in the elite club of chocolatiers who makes chocolates from bean to bar a few chocolate manufacturers in kerala . We are one the chocolatier who makes 70 % Cocoa content in kerala and most noticeably our factory situated in the cocoa farm itself , a rare scenario in the world. Located in Moozhikulam Village of Central Kerala, India chocolate Factory has been producing the finest quality homemade chocolates for over 4 years, using only the finest ingredients .The beautifully presented high quality chocolates are made using no less than 34 per cent cocoa solids. Our chocolates are available in our sales outlet in Munnar , Near Kallar water falls and other Leading stores in Munnar. Pristine chocolate bars also available in stores near by you. Our store at Panampilly Nagar, KV colony, 7th Cross, Opp lane to Govt . . The store contains of custom made chocolates like, passion fruit fillings, Jack fruit coated with milk chocolate , 70 % Cocoa, 85 % Cocoa, Ginger coated with milk chocolate , Cream fillings, Cinnamon flavoured chocolate , Crispy Peanut chocolate bars , Cashew chocolate bar.. lots more chocolates coming to store near you..